In a few short weeks LP and BP return to school after six weeks off. It's an interesting time because they're both excited to see friends they've missed through the holidays but will miss all the time they had at home to play games and have fun. The first week back is the toughest, the sudden jolt back to reality with routines including early mornings and school work can often result in the odd tantrum. At the same time though it's exciting, they're both growing up fast and are looking forward to starting their next school year, BP will be in Year 8 and LP will be in Year 3. Year 3 is going to be quite a change for LP, he'll no longer be considered a youngster and will be expected to make progress with school work as well as begin to do things for himself. Another change he'll notice is lunch. Until now he's had free hot dinners at school and most of the time he's enjoyed them, there's been the odd occasion when he's come home hungry because he didn't like the lunch but it's been few and far between so I'm happy with that. In Year 3 though those school lunches are no longer free and I have to decide whether he's having hot dinners at school or taking a packed lunch. LP has let me know there are a few days when he would like to take a packed lunch and that means I need to find a way to make him quick, easy, and nutritious things to take to school with him. I'm not a master chef, far from it, and it can take me a long time to work out what to put on the sandwiches. Another problem I'm faced with is LP is a picky eater, he'll eat certain meats but rarely tries fruit or vegetables unless they're hidden. It's tough working out how to get him eating healthily at the best of times. To tackle these issues I turn to the internet, Pinterest is a great source for inspiration and there's plenty of nutritional ideas. 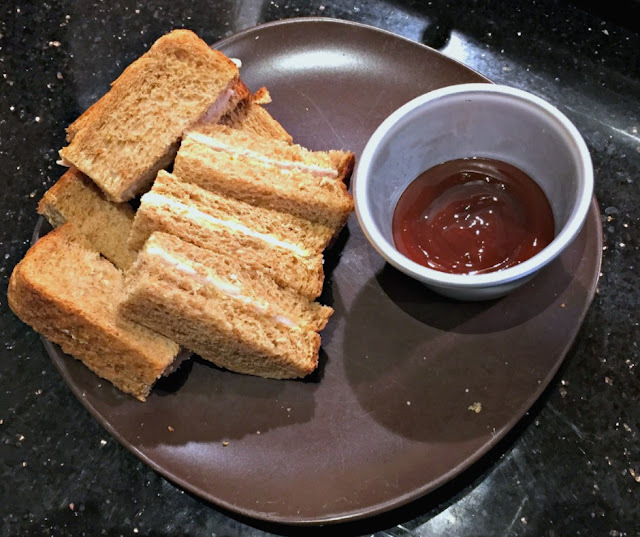 A great post from another blogger has been useful too, check out Taming Twins and her 36 Preschool lunchbox ideas (without sandwiches!). Luckily I've been through this process before with BP and I have a few tricks up my sleeve. Regular sandwiches with cooked meat, spreads, or even tuna are my usual go-to packed lunch meal. They can be made into a fun meal for your children by cutting them in a fun or different way. You could start out by making sandwich soldiers, LP likes to have sauce to dip his sandwiches in and I've started to keep small empty bottles to put sauce in for LP to have in his lunchbox. Sandwiches cut into triangles are fun too. They're different again, easy to pack, and there's not to much fussing with refined cutting. Triangles are great for dipping or eating quickly. If you're much of a baker and have all kinds of cookie cutters you could use them to make shapes from the sandwiches. Whether it's mini people, butterflies, or even just cookie shapes, your child will enjoy the change. 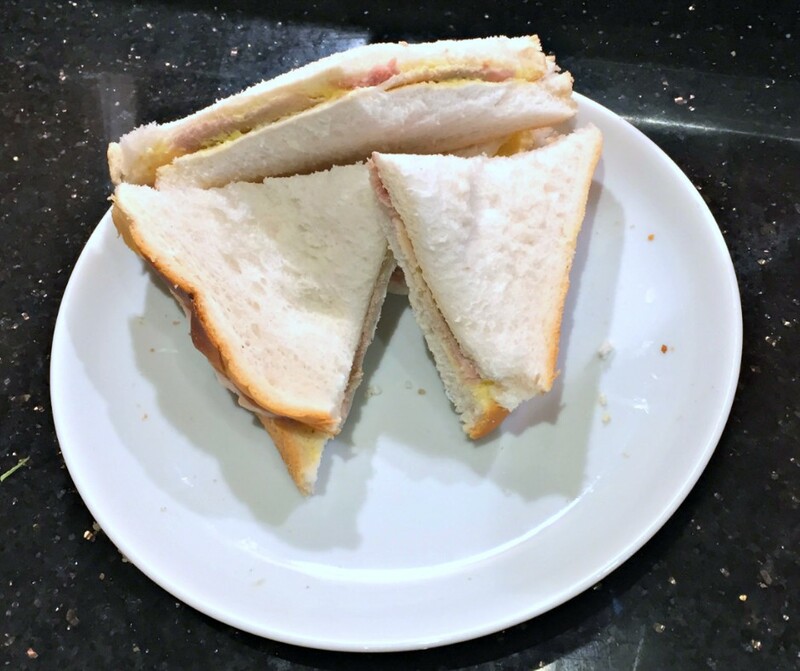 It's not just about the shape of the sandwich, you can also have fun and add an interesting touch to the sandwich itself. I have, on occasion, tried to arrange the sandwich in the lunchbox so that it makes a funny face or a monster. Sometimes it doesn't work out very well because LP carries his lunchbox around and the sandwiches move around in the box. Of course you don't just have to use bread for the sandwiches, you could use tortilla wraps, buns, or toasted pitta and even then you have the wholemeal versions of those things too. I'm lucky LP likes wholemeal bread and often asks for it as an alternative to white bread. LP loves breadsticks, particularly if he has something to dip them into. I've given him barbecue sauce, ketchup, spicy sauce, and even a little Nutella. He enjoys the Nutella because it reminds him of Choc Dips! Cheese strings are a great source of calcium for your little (or big) ones and they're popular with LP. Again he loves to dip! These remind me of parties and I think that's why LP likes them so much too. Simply put them in a little bag or tub, maybe even add a couple of small scotch eggs, and you're set. This has to be the first one on the list right? It's not something I do every day but the occasional piece of chocolate or pack of chocolate buttons makes them smile when they open up their lunchbox. If you put the chocolate next to a chilled drink or yoghurt then it will stay cold too! Again not something I always put in the lunchbox but it is okay to do. They're a quick and easy snack to grab from the cupboard when you're in a hurry. There's such a variety of yoghurts at the supermarket these days that you can spend a long time deciding which ones to buy. They're great for giving your children that all important calcium and they taste great too. You'll be a big hit! So you've spent weeks giving your children yoghurts, crisps, chocolate, and you're after something a little different but that still seems like a treat? Check out Hartley's No Added Sugar Jelly Pots, they're handy little pots of jelly that fit nicely into a lunch box. As you can see they have no added sugar too, so you know your little ones aren't having too much of the sweet white stuff. With a range of flavours the little pots (115g) are great to keep in the fridge and take out to put in the lunchbox just before you leave for school, but don't forget that all important spoon! Hartley's have you sorted for the back to school season too, they're running a collector scheme right now. Since the start of July Harley's are offering customers the chance to collect 12 special edition green lids from across the No Added Sugar Jelly Pots (115g) range to claim a free Hartley's lunchbox and stickers. Each Hartley's lunchbox comes with a sticker sheet with Hartley's much loved characters and a sticker alphabet so your children can personalise their lunchbox. LP took some time to get the personalisation just right. He loved the love hearts and used an I and an O to make an exclamation. 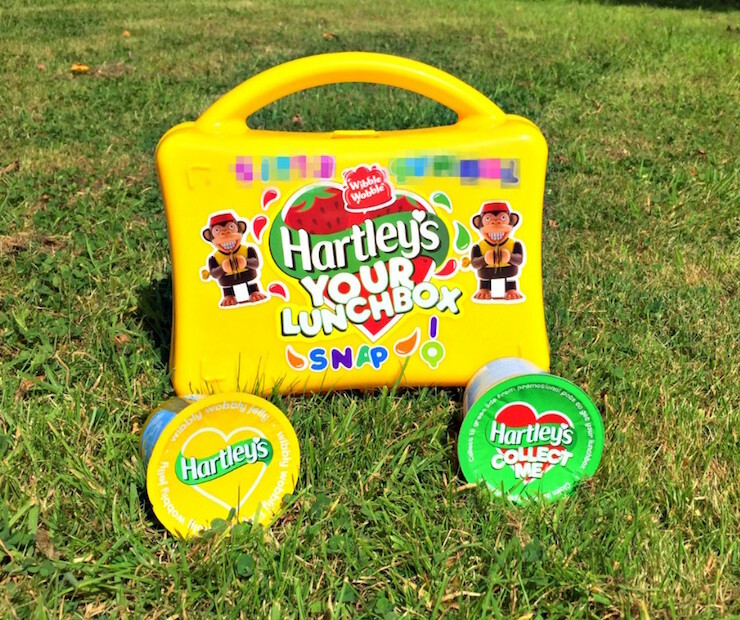 To claim your Hartley's lunchbox head to http://www.hartleysfruit.co.uk. LP drinks a lot of water at school as they have a water cooler where the children can fill up their water bottles. The water bottles can be kept on their desks so they can drink at any time. I don't often give him water in his lunch box unless I think he really needs it but I do think it's important to have water during the day and encourage him to do so. From orange to tropical, Um Bongo to Fruit Shoot, there's a huge range of juices available. I'll let LP have juice occasionally but, like chocolate, it's just a treat. I do however let him have squash, it's a nice way to make water taste a little bit more exciting. I know that for little ones milk at school is free, but for the last couple of years I've had to pay for LP to have milk at school. LP loves his milk and as well as having his milk from school I will give him some in a bottle with his lunch. The chilled milk also helps to keep the other things cool too! To be honest I think this one is the most difficult thing to tackle. Entertaining your children with their lunch when you're hurrying in a morning to get it all ready is not something that is high on the priority list. However over the last couple of years I've been able to entertain LP with the odd note in his lunchbox. I've written short poems, jokes, and heartfelt notes for him and he always comments on how he enjoyed reading them at lunch time. 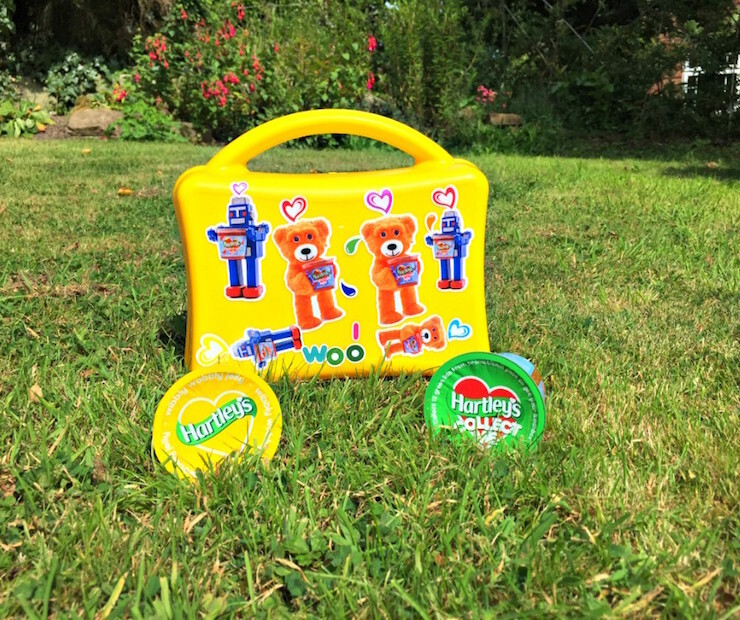 Are you going to be flung into the world of lunch boxes, snacks, and drinks this year? Do you have any great ideas you'd add to my list? My oldest starts Year 3 too, going to such a big change I think. 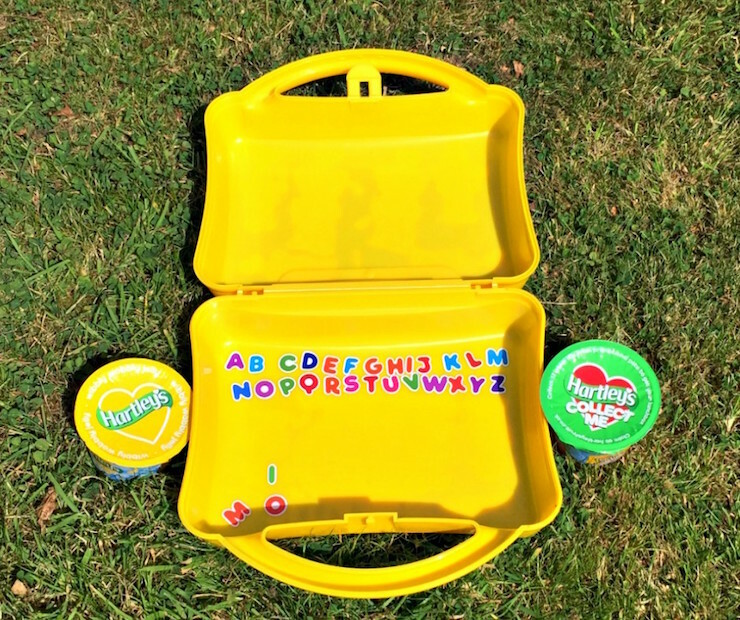 I love how the lunch boxes come with stickers for personalising! 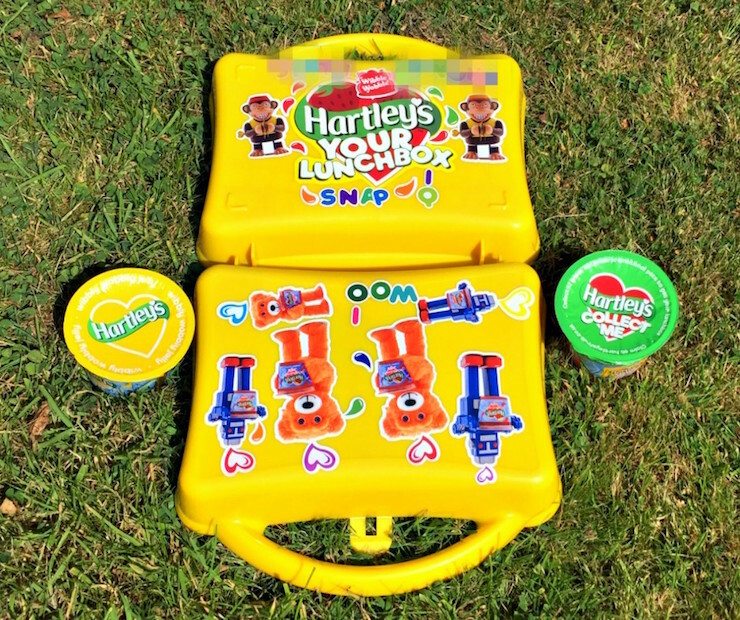 LP loved personalising this lunch box, he was very particular about which stickers he used. :) Hope your eldest enjoys Year 3. I've stopped doing it with BP as it's so "not cool", but LP loves it. Packed lunches are great, I'd love to have them every day rather than thinking about what to eat for lunch at 11am. Triangles remind me of my Mum. So many great ideas here. Commenting for myself and on behalf of BritMums and thanking you for taking part.